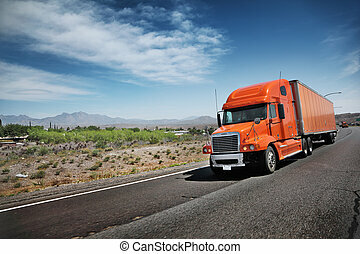 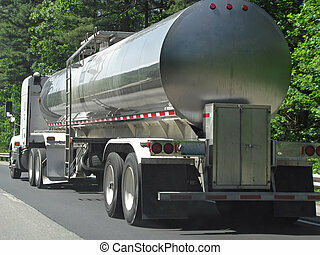 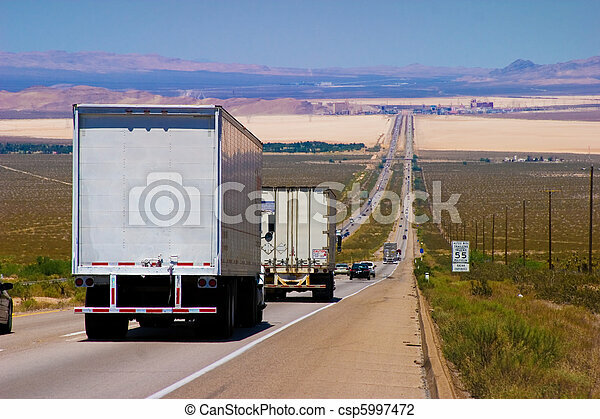 Interstate delivery trucks on a highway. 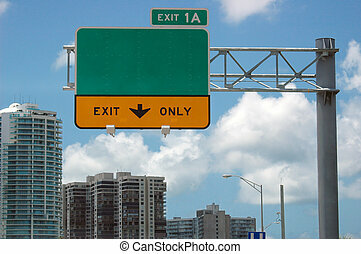 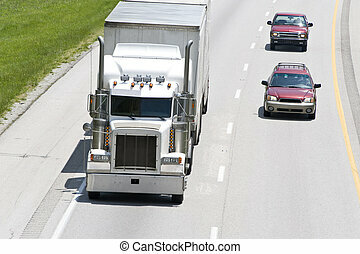 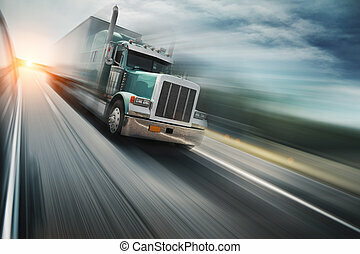 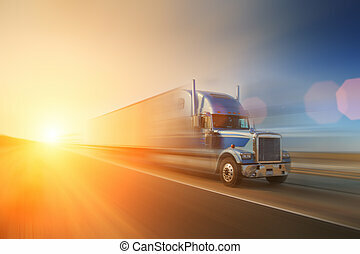 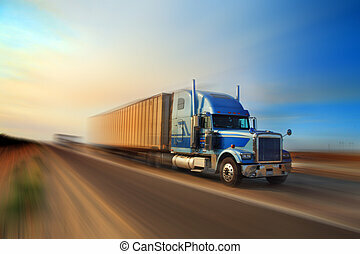 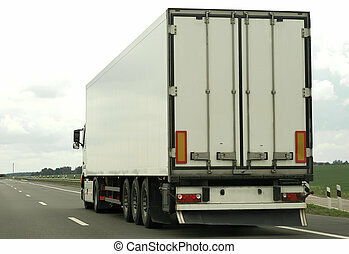 Cars Passing Big Truck On The Interstate. 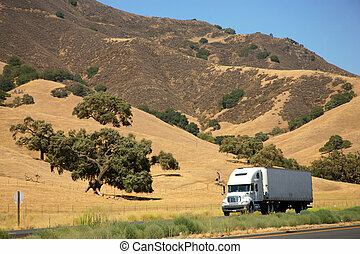 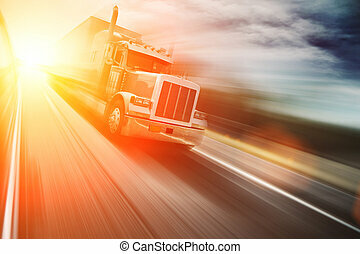 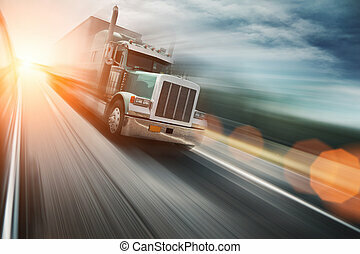 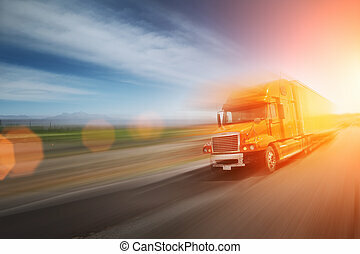 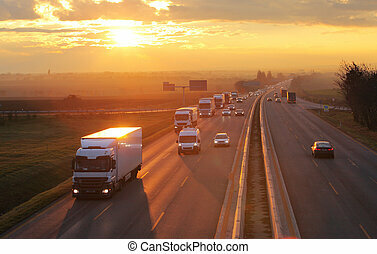 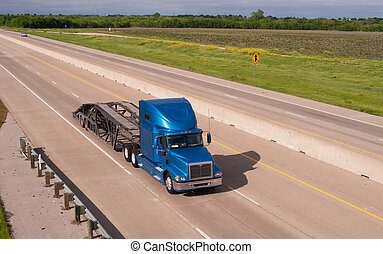 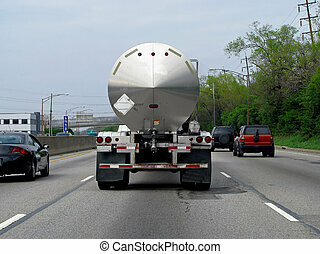 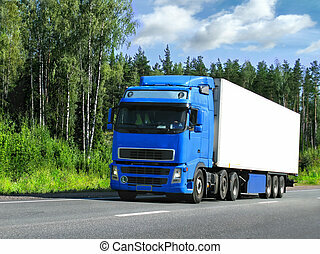 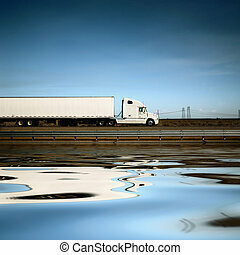 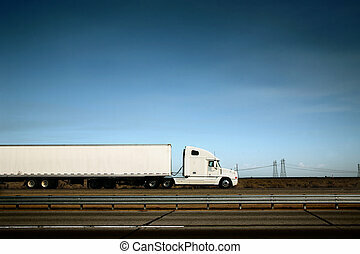 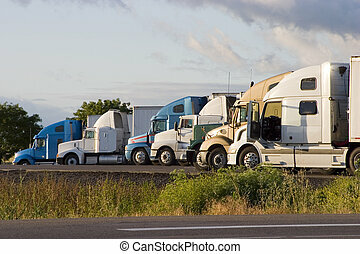 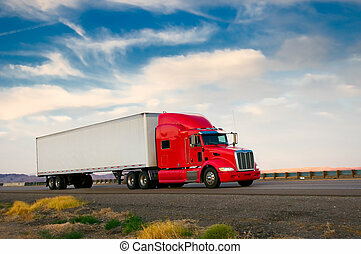 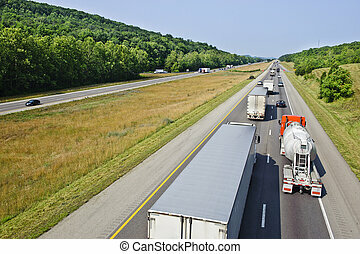 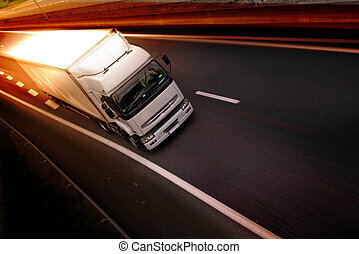 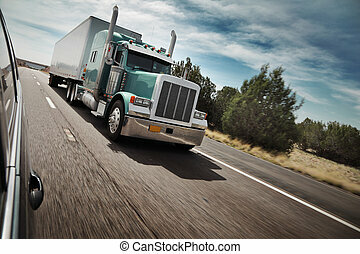 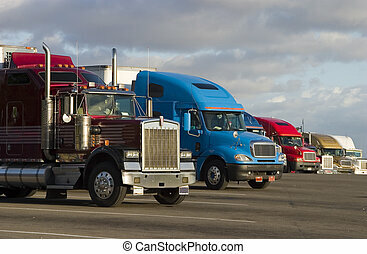 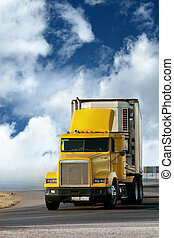 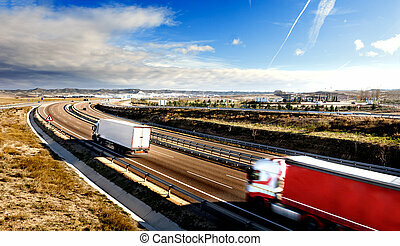 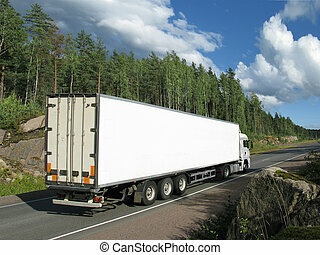 Horizontal shot of Trucks on the Interstate Highway. 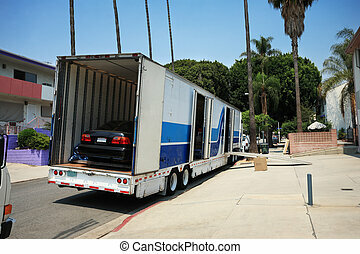 Large moving truck with a car inside parked on sunny Los Angeles street.